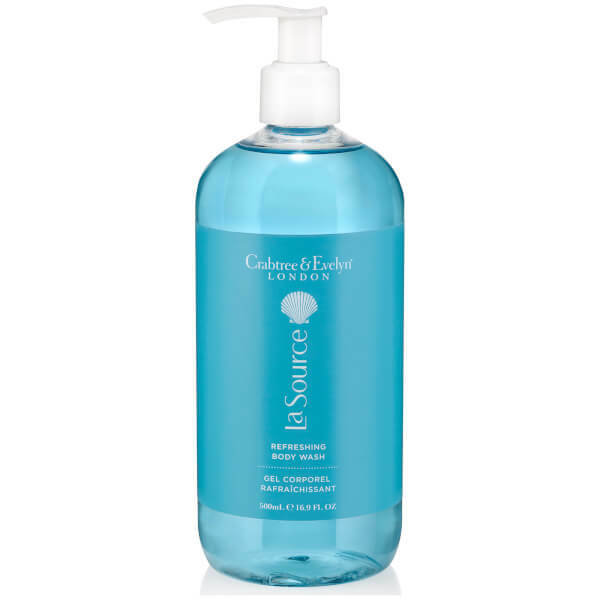 Purify and pamper from top to toe with the Crabtree & Evelyn La Source Body Wash; a lightweight, pH balanced formula infused with mineral-rich Dead Sea Salts to cleanse skin without stripping moisture. Infused with extracts of Brown Algae and antioxidant-rich Green Seaweed, the luxurious shower gel gently eliminates impurities whilst enveloping the body with a crisp, revitalising fragrance of fresh sea breeze and aquatic notes. Skin is soft, supple and hydrated after use. 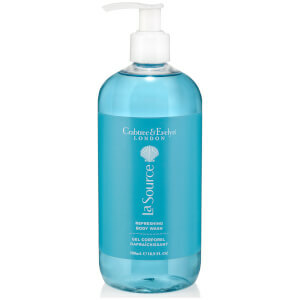 Free from mineral oil, parabens, phthalates, propylene glycol and sodium lauryl sulphate. Apply to wet skin. Rinse. Water (Aqua)(Eau). Sodium Laureth Sulfate. Ppg-2 Hydroxyethyl Cocamide. Cocamidopropyl Betaine. Fragrance (Parfum). Glycerin. Sea Salt (Maris Sal)(Sel Marin). Enteromorpha Compressa Extract. Lessonia Nigrescens Extract. Disteareth-75 Ipdi. Polyquaternium-10. Ethylhexyl Methoxycinnamate. Glycereth-7 Caprylate/Caprate. Trisodium Ethylenediamine Disuccinate. Butylene Glycol. Sodium Chloride. Ethylhexyl Salicylate. Butyl Methoxydibenzoylmethane. Citric Acid. Sodium Hydroxide. Bht. Benzyl Salicylate. Limonene. Eugenol. Linalool. Hydroxycitronellal. Butylphenyl Methylpropional. Magnesium Nitrate. Methylchloroisothiazolinone. Magnesium Chloride. Phenoxyethanol. Methylisothiazolinone. Potassium Sorbate. Sodium Benzoate. Blue 1 (Ci 42090). Red 33 (Ci 17200).